Each Aoraki Bound course is supported by two Outward Bound instructors, and one Ngāi Tahu facilitator. 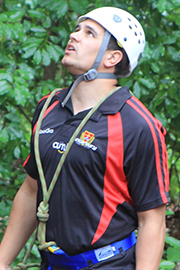 The instructors work together to wrap the activities of Outward Bound with the world view of Ngāi Tahutanga. “I learnt more about myself in those three weeks than I had done in the previous 20 years. It brought about the kinds of realizations that only come from pushing beyond perceived limits. This is what Aoraki Bound does.” Tiaki went on to graduate and work as a mentor on a kaupapa Maori program, using tikaka to bring healing to rakatahi with drug and alcohol dependency. He then travelled and worked with indigenous youth in Alaska and Canada on different environmental kaupapa. Rangimārie was brought up on the Hokianga Harbour, under the guardianship of Araiteuru taniwha. In her last year of high school she and her whānau moved to Otepoti to reconnect with their Kāi Tahu roots – under the guardianship of Araiteuru waka. Rangimārie first became involved in Aoraki Bound through the support and encouragement of her rūnaka to take part in 2010. She then stepped into an instructor role in 2012 and has been returning to Te Wai Pounamu to instruct ever since. “This course takes us on a journey, traversing the landscape that our tūpuna (ancestors) were so dependent on, instilling an inherent appreciation of the rigorous lives of our foremothers and fathers. To return to our whenua, experience learning and development in place and to feel through our bodies and minds is something very special that this course gifts all people. We inevitably gain clarity, perspective and an understanding of what we are truly capable of as individuals and members of society”. After hearing friends rave about their Aoraki Bound experiences, Sampson decided he would enrol and find out what all the fuss was about. With little knowledge about his Ngāi Tahu heritage, he knew it would be a chance to immerse himself in tribal histories and walk in the footsteps of his ancestors. “It’s an experience like no other. Removing yourself from the city and work commitments to learn from amazing instructors and live in each and every moment is a very rare opportunity. Sampson is very excited about joining Tiaki and Rangimārie in a pool of instructors that will continue to grow the course for the next ten years and beyond. Our Ngāi Tahu facilitators are supported by the Aoraki Bound Steering Group, which consists of esteemed kaumātua, Ranui Ngarimu, Tribal Leader, Tā Tipene O’Regan, and Lead Instructor/course co-founder, Iaean Cranwell. 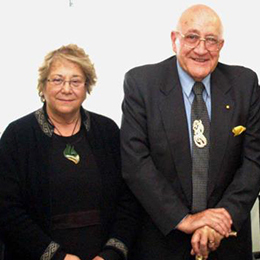 Iaean is one of five Kāi Tahu Aoraki Bound instructors. 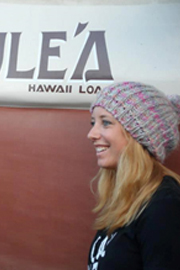 Iaean has been involved in Aoraki Bound from its inception, and was inspired himself to get involved after attending an Outward Bound course in July 2003. Iaean sees Aoraki Bound as an innovative initiative that aims to enhance cultural identity with in Kāi Tahu Whānui by fostering cultural awareness and personal development. Iaean works for Takuahi Research & Development Ltd, the research company for his marae, involved in the restoration of Te Roto o Wairewa and its surrounding takiwā. He lives in Ōtautahi with his partner Keela and their children Te Kaio Va’i Whenuaroa and Metua Tahuahi Maatakotahi . He is currently the Chair of Mahaanui Kurataiao Ltd, the Manawhenua Environmental Service representing the 6 marae in Christchurch and Banks Peninsula. He has a passion for waka ama, recently competing at the Moloka’i Hoe in Hawai’i and is planning to attend the Vaka Eiva in Rarotonga at the end of November 2012. 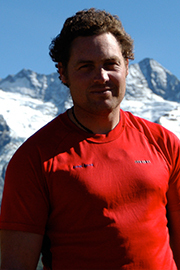 Craig has been involved with Aoraki Bound since it began, helping to plan and establish the pilot course in March 2006. Craig also assisted with the initial relationship building with Outward Bound, after attending a Classic Outward Bound course in June 2004 and becoming a member of the Outward Bound Trust Council in October that year. Craig is passionate about the protection and restoration of native flora and fauna, particularly as it relates to Ngāi Tahu mahinga kai species and practices, and is also heavily involved in competing in, organising and promoting waka ama (outrigger canoeing). 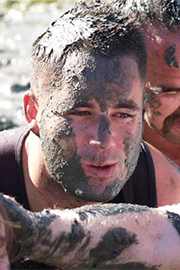 Craig worked for Te Rūnanga o Ngāi Tahu from 1999 to 2013, with most of his time being spent as an Environmental Advisor for Toitū Te Whenua (the environmental unit) and is currently employed as a Kaiarataki Te Hīhiri/Strategic Advisor-Māori with Boffa Miskell Ltd. Craig lives in Ōtautahi with his wife Janyne, who is from Ngāti Waewae/Arahura on Te Tai o Poutini, and their three tamariki, Mihiroa, Meihana and Tainui. Like the other Aoraki Bound instructors Brett is passionate about helping and empowering his people. After attending Aoraki Bound as a student in March 2008 he was given the opportunity to instruct Aoraki Bound in March 2009. Brett believes that Aoraki Bound is a good stepping stone for those wishing to strengthen their Kāi Tahutaka and their appreciation for the environment. “There are many reasons why you should give Aoraki Bound a go and not many reasons why you shouldn’t, we have an opportunity to literally follow the footsteps of our ancestors and learn our history and language whilst being physically challenged and having a great time”.